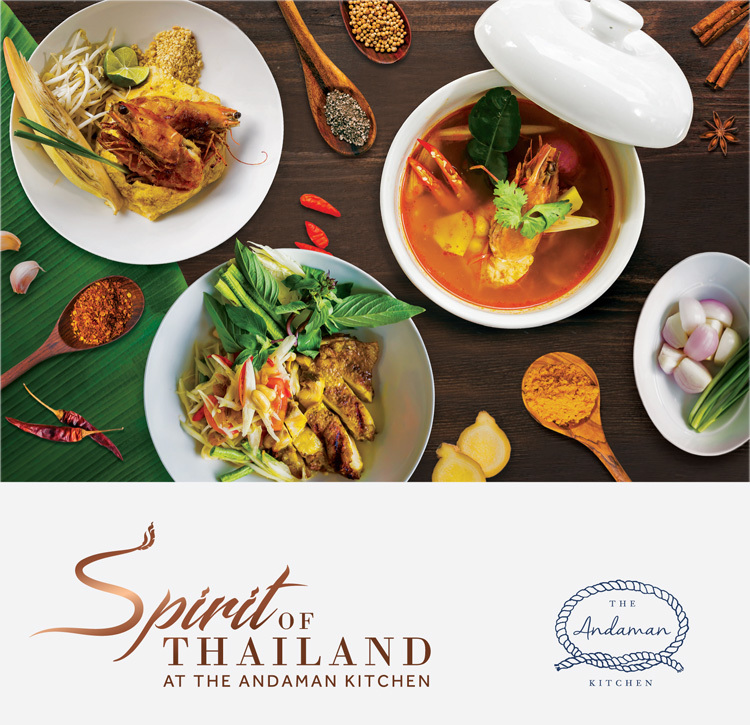 Our all-day dining restaurant, The Andaman Kitchen presents the "Dish of the Day" from our specially crafted “Spirit of Thailand” menu. Available for lunch and dinner, this menu sees our talented Thai chefs use fresh local ingredients to create authentic Thai dishes, which change on every day of the week. Savor our seven local specialties including blue crab meat curry with rice noodles, steamed sea bass with lemon and chili sauce, deep-fried soft shell crab with chili and salt, and more! Available daily from 12.00 – 23.00 hrs.